Eudaimonia can be the difference between a fleeting good time and a lasting sense of fulfillment. What is eudaimonia, and why is it better than hedonism? Allow me to explain by describing a recent trip to Kauai. 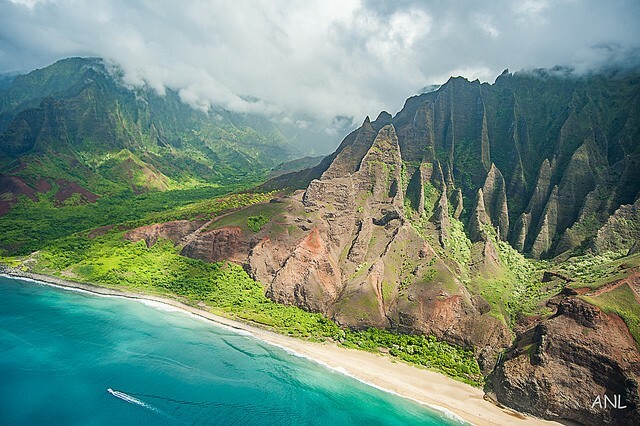 This summer, my family had an opportunity to use the frequent flier miles I earned traveling around the world to deliver workshops and keynotes, and we visited the Hawaiian island of Kauai. The trip was filled with wonderful hedonistic delights, including (but not limited to): swimming in warm water, gazing at lovely waterfalls, sipping cocktails, and eating delicious seafood and shaved ice. Scientific research demonstrates that there’s nothing necessarily wrong with pleasure. However, a pleasant life with little meaning can feel empty. We can end up on what’s called a “hedonic treadmill,” where we’re constantly chasing the next pleasure, never truly satisfied. While there’s nothing wrong with pleasure, by itself it’s not enough for a good life. We need engagement and meaning in our lives to be truly satisfied and happy. Enter eudaimonia. It’s a Greek word that essentially means well-being and flourishing — a good life filled with meaning. One simple way of contrasting hedonism and eudaimonia is that eating ice cream brings hedonic pleasure, while giving someone else ice cream contributes to eudaimonia. With this in mind, before our vacation, I researched volunteering on Kauai and found the Kokee Resource Conservation Program. This wonderful group strives to protect Kauai’s native plants and biodiversity. We arranged to join them for a day of pulling invasive weeds and planting rare native plants. My family — including my 5- and 9-year-old daughters — joined a small crew, and we helped get hundreds of weeds out and hundreds of native plants in. Sipping a Mai Tai while watching a sunset after snorkeling feels great, and I’d recommend it to anyone fortunate enough to travel somewhere tropical. But even better than that hedonic pleasure was the meaningful satisfaction of making a positive difference. Pleasure fades quickly. Meaning lasts in a satisfying way. And this is not just my opinion. Research and my family agree! Weeks after we were back in Oregon, we sat down at dinner and shared the things we had enjoyed most about Kauai. The first thing my daughters and wife mentioned was the day spent volunteering. “That was the best day by far!” exclaimed my 9-year-old. For your next team-building event at work, will you arrange to eat ice cream sundaes (a hedonic approach) or volunteer for a local nonprofit (a eudaimonic approach)…or both? In your life, what pleasures are you chasing? What meaning are you pursuing? What amounts of each do you need for lasting happiness and the health and success that come with it? ← Don’t stress about stress!